This lovely box is Japanese and was probably made during the 1920s-30s for the export market. 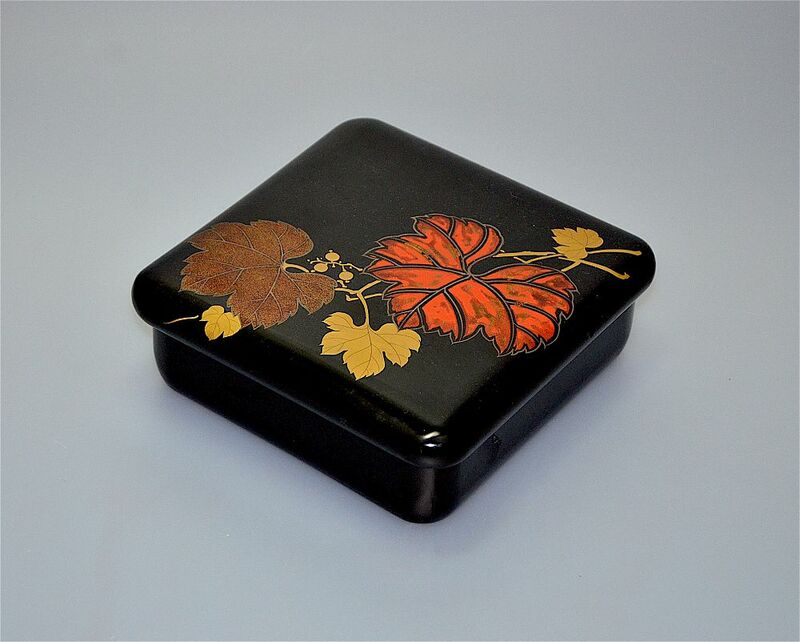 The square box is black lacquered and the lid is decorated with leaves (possibly acer leaves) & berries in orange, bronze & gold enamel. 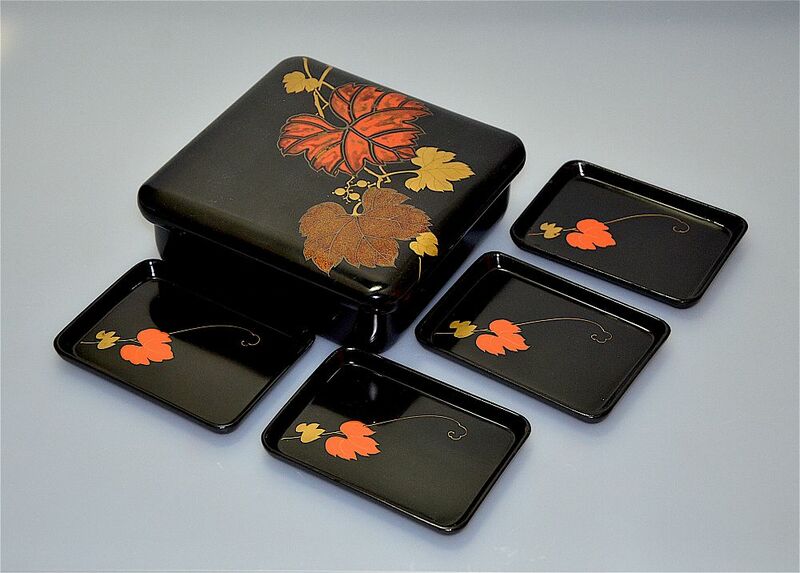 Inside the box are 4 small black lacquer rectangular trays each decorated with leaves and tendrils in orange & gilt enamel. Gorgeous & useful!